Amitabha Empowerment bestowed by Ven. 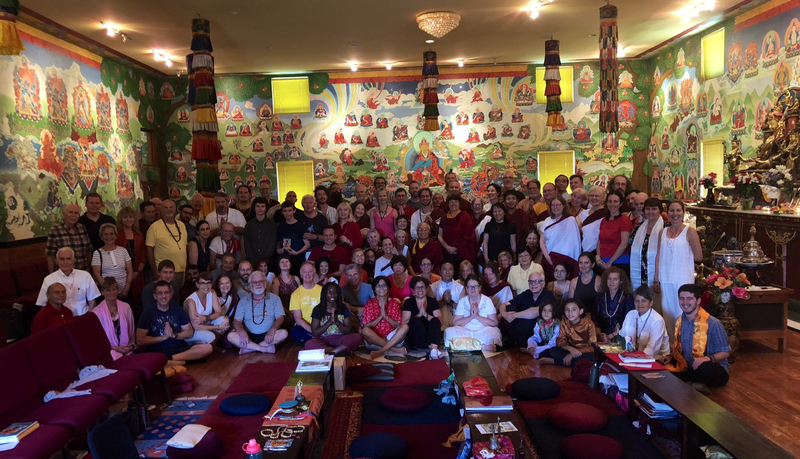 Khenpo Tsewang Dongyal Rinpoche at Padma Samye Ling, NY on July 15, 2018. Happy Chokhor Duchen, Anniversary of the Buddha giving his first teachings in Deer Park in Sarnath, India about 2,600 years ago!